Sign our petition to convince the Martinez City Council to support the MEG resolution against crude by rail transport! We urge the Martinez City Council to adopt a resolution opposing the transport of hazardous crude by rail along the Union Pacific and Santa Fe railways through Martinez and the East Bay. We are very concerned about trains carrying Bakken crude that threaten the health and safety of Martinez residents. In the United States, Bakken crude derailments have been averaging one every five days, with numerous explosions. On July 6, 2013, a Bakken crude train flattened the downtown of Lac Megatic, Quebec, and killed 47 people. 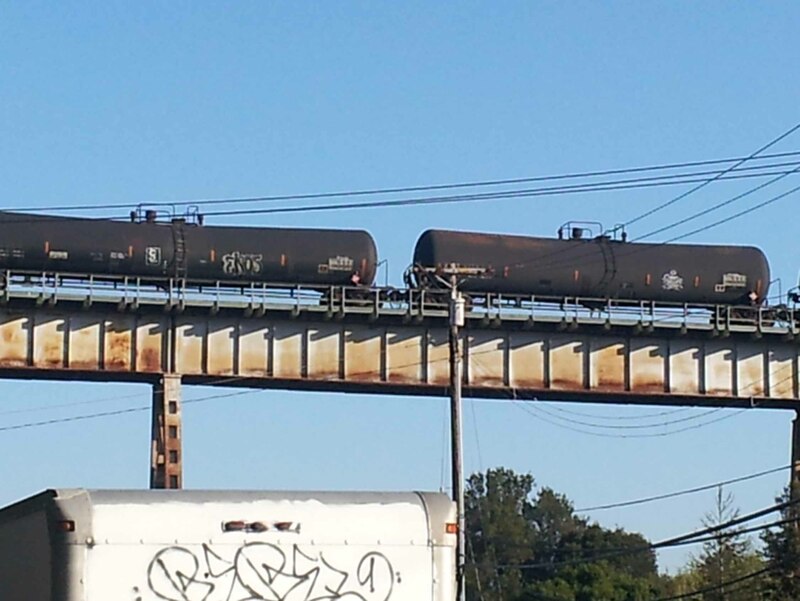 Tesoro Refinery is currently receiving volatile Bakken crude via train and truck, and Bakken crude is being transported on both rail lines surrounding Martinez. However, state and federal agencies charged with train safety inspections and regulatory enforcement are not adequately or quickly addressing this issue. This entry was posted in Bakken Crude, Danger! Crude-by-Rail, Health, Tar Sands, Tesoro. Bookmark the permalink.